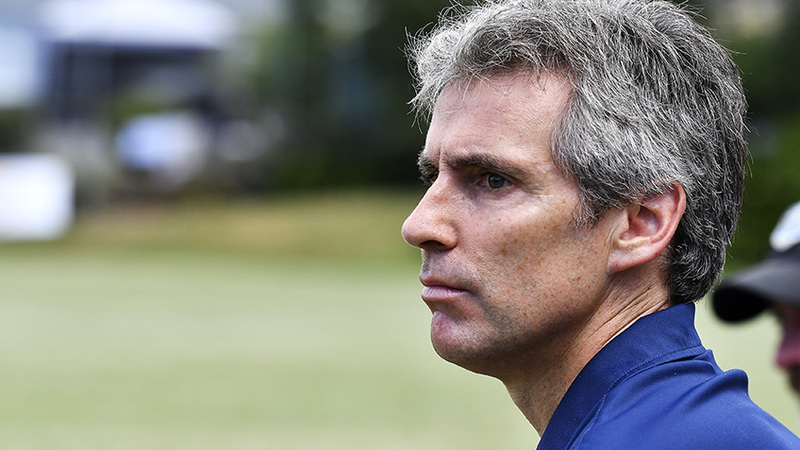 AUCKLAND, New Zealand - Auckland City FC coach Ramon Tribulietx was delighted with his team's performance and set aside praise for David Browne and Angel Berlanga. Browne hit a brilliant hat-trick as Auckland City FC made short work of Lae City in a 4-0 win including two stunning individual goals that were a highlight of a much better Navy Blues show at Kiwitea Street. Berlanga meanwhile clocked up his 200th appearance for Auckland City FC in the same week he and his partner became parents for the first time. Tribulietx was happy with a team performance he described as mature following the semi-final exit at the hands of Team Wellington in the ISPS Handa Premiership a fortnight ago. "We controlled the game very well like most of the games this season. We showed more maturity today than we did in the ISPS Handa Premiership semi-final. "We didn't rush things and showed our style and played the game our way and it paid off for us. "We played a very good game with the ball and created a lot of chances and scored four goals. We're happy not only the score but the way we played. "David Browne was very good. He's one of those players who lives off those opportunities and it was good for his confidence at this stage of the competition. "David loves his football and I'm pleased for him. The next match will be tough no matter where it is. one off games can change very quickly as we know.
" I thought we put in a top performance and that's what we take into our next game. "Angel has been with us since the beginning in the change of the way we play when he came for a trial for the club. "To make 200 games is great for him. He took a risk to come here and he should be happy and proud of what he's achieved. "He's the type of player that youngsters should look up to and model the game on," he said.